Since 2001 SoSimpleCrown.com has been the leading innovator of DIY foam crown moldings. Now anyone can have the high end, luxurious look Crown Molding adds to a home for about 1/3 the cost of hiring a contractor. 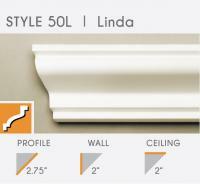 Our moldings install with just caulking and we offer Precut corners to make your installation even easier. 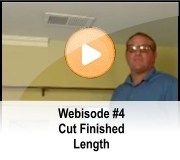 Take a moment to watch our installation videos and we are sure you will be amazed. 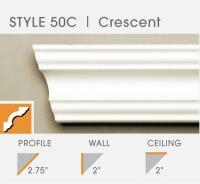 So Simple Crown is the #1 distributor of Villa Deco Crown moldings. 50C Crescent 3 Inch $9.95 Ea. 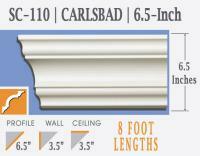 So Simple Crown Foam Crown Molding is the easy crown molding solution that installs in about an hour. 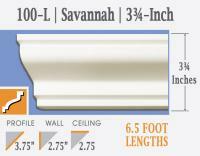 Since 2001 we have been the #1 distributor of Villa Deco and Creative Crown foam crown molding. With precut corners available, we have made it simple to install for any level DIY'er. All you have to do is measure and cut to length, run 2 beads of Dap Alex Plus Caulking along the back side of the foam crown molding and press it into place where the ceiling and the wall meet. You don't have to stand there and hold it. Once you press the crown molding into place it is there for good. We can also play requests! If you have odd corners, or need end-caps, or have vaulted ceilings, or would like us to just go ahead and precut the entire order for you, we can accommodate any crown molding request. 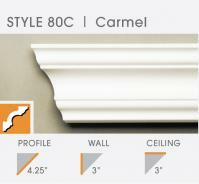 We are here to make your crown molding installation a breeze.